Our cookies embody goodness. They are always made in small batches in a unique way. Each one is hand-crafted with love. We bake them fresh for your gift and package them with care. 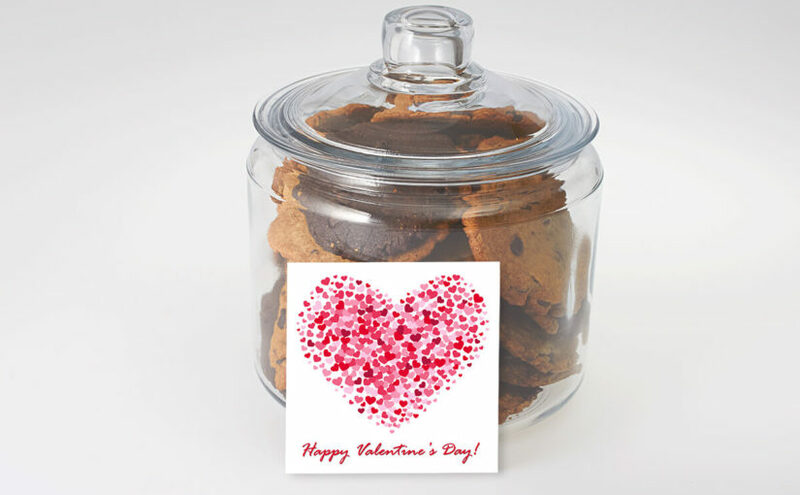 We have many love inspired cookie baskets and bouquets for Valentine’s Day gifts. Everyone is different and so too are our cookies. All are made with love and embody goodness! 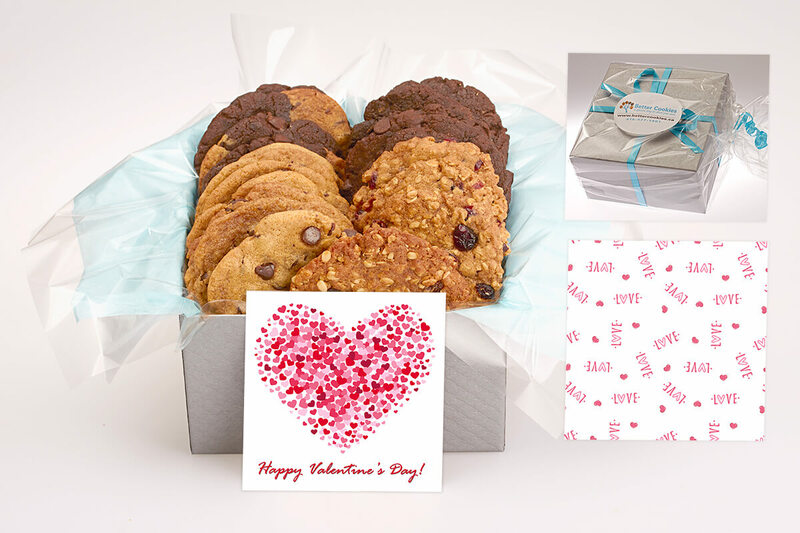 We have Valentine’s Day gift baskets, cookie bouquets, gift jars, giant cookie grams and gift boxes available for delivery. Our gift boxes are able to be delivered across Canada. The other more fragile gifts are only available for local delivery in Oakville, Burlington, Hamilton, Dundas, Milton, Stoney Creek, Mississauga and across Toronto. Do you want to send something big to show your love? 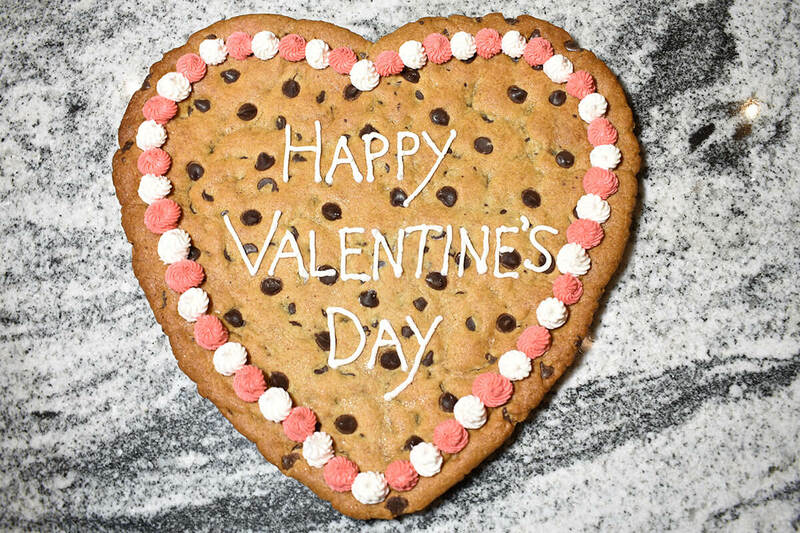 Check out our giant Valentine’s Day heart cookie gram.. This big heart gift is able to be delivered locally around the GTA. As our cookies are all “heart”, we decided to created some giant heart shaped cookie grams! We have two different kinds available. We have one that says “Happy Valentine’s Day” with a pink and white border. 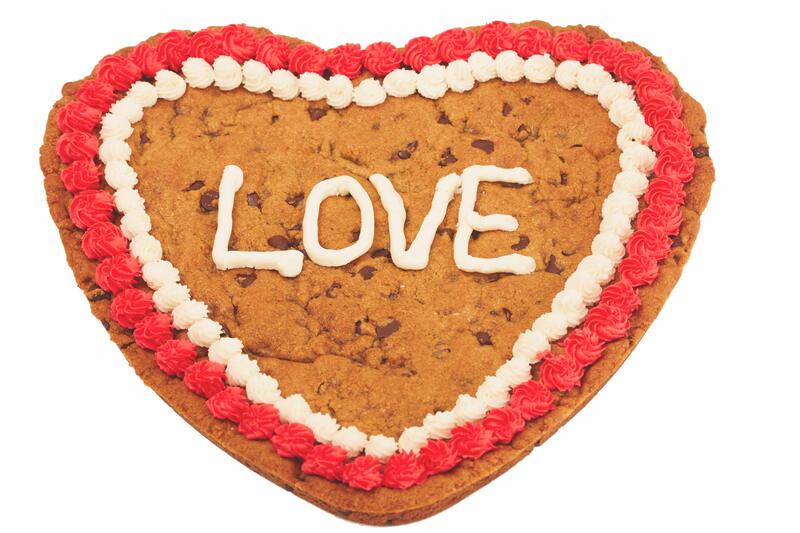 And another cookiegram that says “Love” on it with a red and white border. Each one is unique. 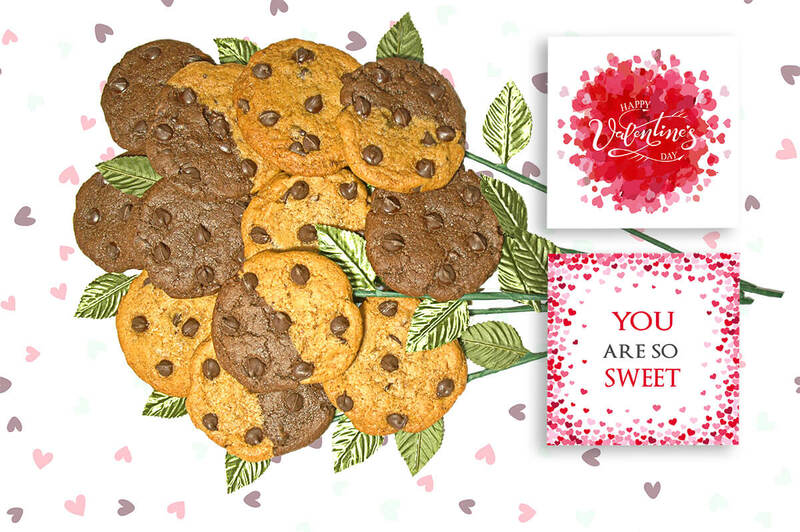 If you would prefer to select your own special message then you can specify it by ordering the special message of love cookie gram. 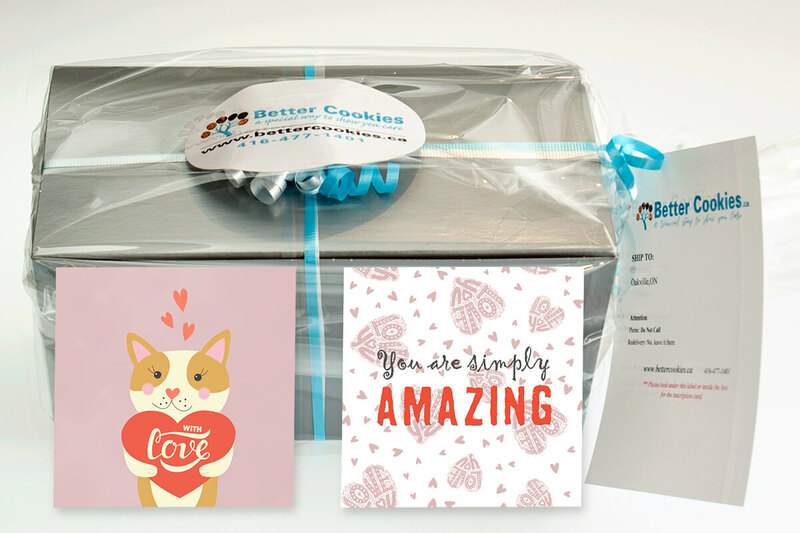 Better Cookies.ca is a small business in Canada that takes pride in making unique gifts for people who care. 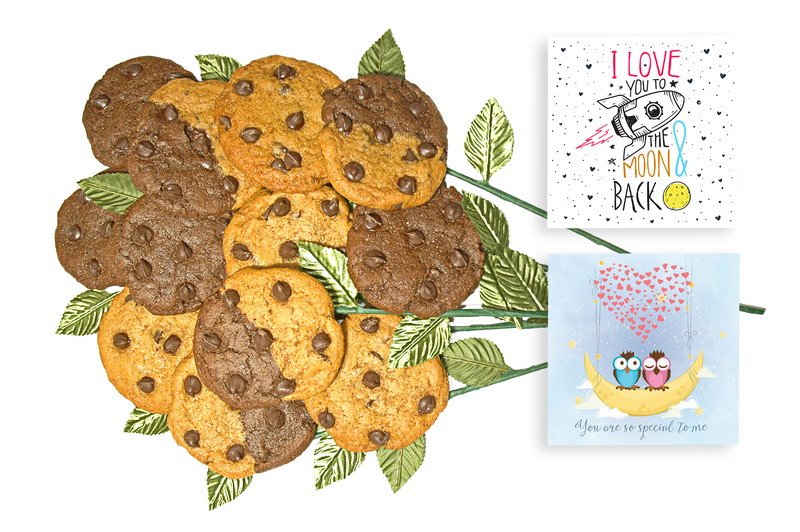 We make gourmet cookies that are great for everyone. We look forward to making many gifts of love this year. Next Next post: What are the best cookies for delivery in Canada?